We love helping brides feel beautiful, unique, and amazing on their wedding day. We work hard to find the right dress, the right fit, and the right style for you! We love helping brides find unique & one-of-a-kind dresses. We work hard to ensure our brides feel gorgeous, comfortable, and show-stopping in our gowns. These gowns turn heads and we love to help brides feel their absolute best! Established in 1999, Valentino's is a family owned business which started off as a tailoring shop in Twinsburg. In 2002 we opened a second location in Stow, Ohio. 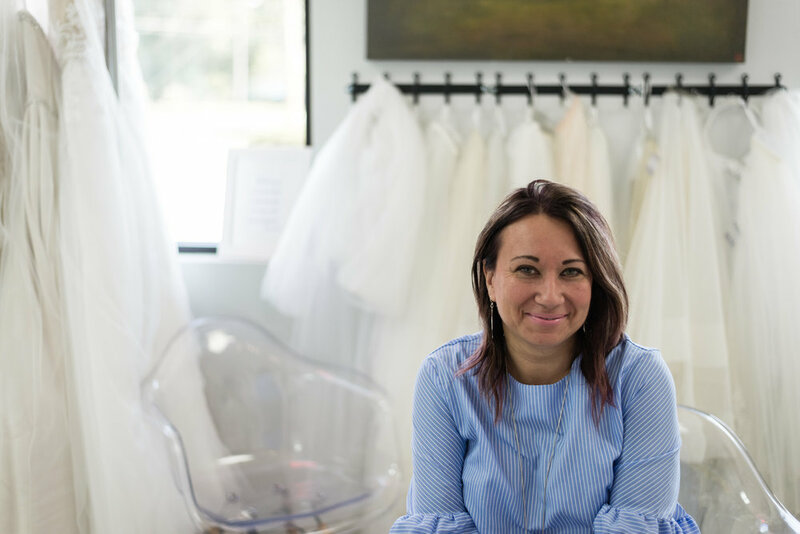 During our seventeen years in this area we noticed that the market in Northeast Ohio was lacking a bridal salon that offers very personal advice and sees gowns from a fashion perspective and with a tailor's eye for what fits each individual bride best. This is why we decided to open a bridal salon that compliments our tailoring services. We focus on personal advice based on years of tailoring experience- we don’t just know fashion we also know fit and style. We want to make sure our brides look their absolute best on their wedding day, and work extremely hard at making every bride feel as amazing as possible on her day. We look forward to serving you and can’t wait to show you all of our gorgeous dresses!